Following the civil war, 260,000 Central African refugees found shelter in neighbouring Cameroon including 62 per cent of children, living in very precarious conditions in refugee camps or with host communities. More than 88,000 children are still not in school. UNICEF Canada UNICEF is a non-profit humanitarian organization focusing on saving children’s lives around the globe. Following the civil war, 260,000 Central African refugees found shelter in neighbouring Cameroon including 62 per cent of children, living in very precarious conditions in refugee camps or with host communities. 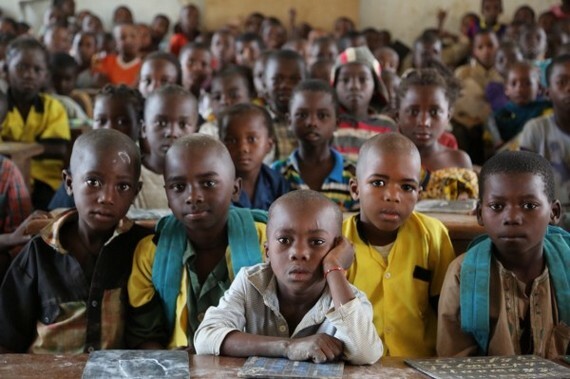 More than 88,000 children are still not in school. Due to a severe shortage of funds, UNICEF and its partners are currently unable to operate a response that would ensure none of them are left behind. "I am not happy at home. I didn't want to get married, I didn't want to have a child. I wanted to go to school. 13 years old is much too young to become an adult." Kulsumi tries to smile, but her eyes are filled with the kind of sadness that no child should ever feel. We are in Tongo Gandima, a small village from the East Region of Cameroon, a hundred kilometres from the border with the Central African Republic (CAR). That's the country she fled in 2014 when violence erupted in her village. "Both of my parents were killed in front of me," she said. "My elder brother as well. I left alone. I followed the herdsmen. When they were sleeping, I was sleeping, in the morning we would leave. I never turned back." After a few weeks on the road, she reached Cameroon. First, she lived in the refugee camp of Gado, and then moved to the village of Tongo Gandima, when she found a foster family. "That's when it went wrong. My foster family didn't have money to send me to school. They gave me for marriage to an older boy. I didn't want to, but I had no choice. I am now the mother of a four months old baby. I love my son, but sometimes I feel I got my childhood stolen." Kulsumi is one of thousands of girls with heartbreakingly similar stories. Early marriage is the fate for more than half of the young girls living in the two regions (East and Adamawa) affected by the crisis. The parents prefer not to send their children to school, but rather keeping their boys with them for the work in the fields -- and give out their young girls for marriage. 'When a girl reaches the age of puberty, she is taken away from school," explained Sylvie Ndoume, a school director from the village of Gado. "Since I started working here 10 years ago, I only saw one girl reaching the ninth grade. Here, the price for a girl is a pack of beer and a fowl, given to the father. And it's over." From the very beginning of the crisis, the Ministry of Education, UNICEF and their partners have been conducting massive public campaigns to convince the parents to send their children to school. 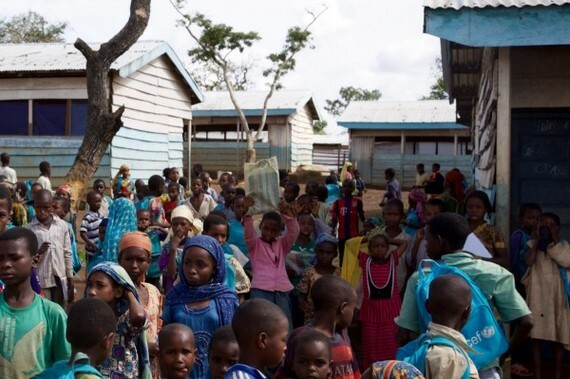 But out of the 250 villages that were targeted, only 59 have been reached so far because of a lack of funding that seriously hampers the effort to bring children back to school. This year, UNICEF's education section only received 20 per cent of the required funds for the East and Adamawa crisis. Although she managed to send her other children to school, her boys Amadou, three, and Hissen, four, have to stay home all day, because there are no activities for children of their age. "My children saw war, people dying, they heard the sound of firearms. I know they are not well. They stay very silent, and sometimes they start crying for no reason. What will happen when they have to go to school?" In 2016, UNICEF managed to offer through its partner NGOs psychosocial support to 15,000 children, but an estimated 75,000 other children need this kind of support to recover from their horrible experience of conflict. This status quo could lead to a 'perfect storm', that would jeopardize the future of thousands of children. The absence of protection services means that children can't recover properly from their ordeal. When they arrive in school they face very harsh conditions because of the lack of teachers and infrastructure -- it is not unusual to see 250 pupils for a single teacher in Eastern Cameroon. When children reach an age when they can work with their parents, or get married, they're taken away. "The situation is extremely difficult, but not irreversible," said Felicite Tchibindat. We can turn it into an opportunity for the parents to offer their children a better life. I call on the International Community to not forget these children. This crisis must not become a silent crisis. It's still time to act, but if we don't do it now, we'll have to deal with much more serious consequences in the future. 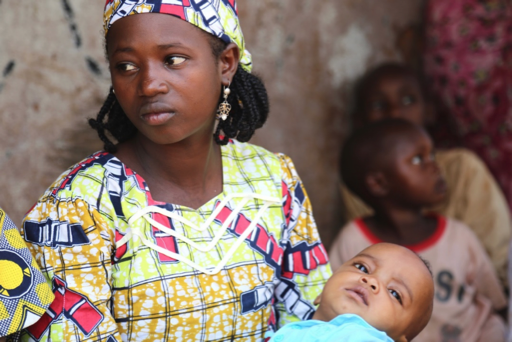 To help UNICEF reach children affected by this conflict with life-saving support, click here.